Portable Soundz started out in 2007 doing small events, weddings, and parties. As our interests in music production grew, so did our clientele. Each year we expanded our business and did not only more events, but a wider variety of events as well. We specialize in weddings, parties, dances, corporate events and all other live sound events. With almost 10 years of experience within the music and entertainment industry, Portable Soundz has provided expertise, professionalism, and entertainment to hundreds of events. Our clients have become more than customers – they have become friends. Customer satisfaction is the key to this type of success. We do this by making our client’s events successful and memorable – giving them exactly what they ask for. Portable Soundz offers only the best in music, music production, and sound. Whether it’s for a wedding, dance, birthday party, special occasion, anniversary, corporate gathering, or other live sound event, the service you receive comes second to none and we pride ourselves on being personal and available. Our DJ team will provide you with a great experience from the beginning to the end. Whatever your needs are, Portable Soundz can provide you with a professional and memorable experience. The cutting edge technology and top-of-the-line hardware we use will provide endless hours of enjoyment for any occasion. Your wedding day is one of the most important days in your life; and we understand it must be perfect, not only for you, but for your guests as well. Our experience and commitment to you make us the premier choice for the couple who wants to host a memorable wedding. 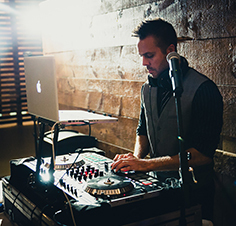 Portable Soundz will make sure your wedding is everything you dreamed it would be!